THE Cancer Diseases Hospital (CDH) is this year contemplating on decentralising its operations in response to the increasing demand. CDH senior medical superintendent Lewis Banda said more patients from different parts of the country were trickling to the hospital in Lusaka, which was an indication that the awareness campaigns were yielding positive results. Dr Banda said the increasing demand, however, called for the decentralisation of cancer services to ensure that patients were attended to in a faster and timely manner. “The awareness effect has worked, there are more patients coming through and so there will be delays in managing these patients, so we need to, as we go on maybe from next (this) year, there are big plans to try to decentralise the cancer services,” he said. 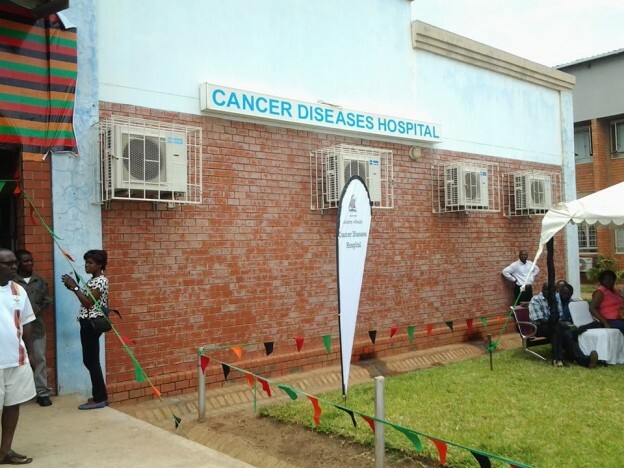 Dr Banda also said in Lusaka recently that the constant breakdowns of cancer equipment was negatively affecting the cancer treatment services. Dr Banda said that cancer treatment machines had almost outlived their usefulness as they had been used for about 10 years, hence the need to buy new ones so as to enhance services. Dr Banda said further that sometimes the delays by the Ministry of Health to supply the hospital with anti-cancer drugs prompted the institution to go an extra mile to buy the drugs on its own using its meagre resources, some of which (money) was initially meant for other areas. Further, the hospital has limited manpower, especially for specialised positions. The Cancer Diseases Hospital has attended to more than 18,000 cancer patients since it was opened in July 2007 and currently, 193 patients are admitted there while its in-patient facility has the capacity to accommodate 252 patients.